We’re all fairly familiar with today’s modern cars. Our roads are filled with the same old Ford Fiestas and Vauxhall Corsas. We’ll even have a passing familiarity with the more obscure manufacturers like Dacia. But what if you’re looking for something completely different? If you want a truly unique car, try looking at some of the new independent car makers. We’ve pulled together some of the best cars you’ve never heard of. Some of these manufacturers are based overseas (many in Asia). Others are simply happy making small runs of brilliant vehicles. But one thing ties them all together. You have never heard of them before! Let’s dive straight in and we’d love to hear about any more obscure cars when we reach the end. Venucia – Venucia is the result of a collaboration of sorts. In fact, many small, obscure car manufacturers are part-owned by larger companies. Venucia is one such example. It’s a product of the guys at Nissan and Dongfeng (one of China’s biggest manufacturers). They tend to specialise in modern, hybrid cars, and they’re doing a fine job. Their latest concept car was revealed at the Shanghai motor show, and it is truly stunning. Lifan – Lifan are another Chinese car manufacturer, but they have big ambitions. In fact, they’re beginning to turn their attention towards the west, and they’re eyeing up the market. Unfortunately, their biggest media attention on this side of the globe came from a lawsuit. They – rather boldly – tried to use the name ‘Hongda’ to sell vehicles overseas. Honda quickly put a stop to that with a hefty lawsuit. Abarth – Abarth is a manufacturer based a little closer to home. They are owned by the larger parent company, Fiat. In fact, you may have seen them on the road, and mistaken it for a Fiat 500. In reality, Abarth is a monster all of its own. Their heritage is in racing cars. They built and designed some of the fastest cars on the planet during the 1970s. 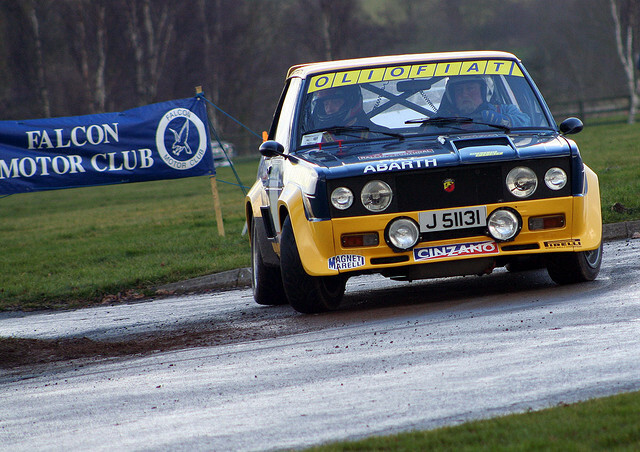 The Abarth arm of the company built Fiat’s rally cars, for example. Nowadays, they are responsible for the high-performance Fiat models, and a few choice models of their own. New Abarth cars are some of the fastest small cars on the market. We love them. Hongqi – As you can tell by the name, this is another Chinese brand. It’s one for the finer ladies and gentleman of the Eastern shores. The closest equivalent in this part of the world would be Rolls Royce. The high-end, luxury manufacturer is one of the most revered in China. We’ve included it here, as they are slowly turning their gaze to the foreign market. Hongqi will soon have manufacturing plants across the planet, and we may see a few on our roads in the next few years. Could they possibly give our elder statesmen cars a run for their money? Do you like the look of these mysterious models? More importantly, have we missed any of your favourites? We’d love to hear about any other secretive cars. Do leave your favourites in the comments.